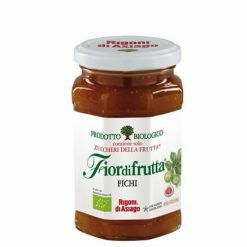 Organic fig fruit spread; non-sugar. Uniquely Italian, this wild cherry fruit spread has a deliciously rich, slightly bitter taste. It is excellent spread on bread or pancakes, mixed with yogurt or warmed gently and dribbled over vanilla ice cream.